In the times when the real you is judged by your Virtual presence, “Virtual Planet” is just the perfect solution to create an Impactful image among your audience. From creating a platform for artists to shooting big budget music videos, TV Commercials and films, from composing ad jingles to Bollywood music tracks, from publishing short stories to big fat books, we do it all. We master the art of growing a Small business into a Big Brand. We also curate amateur artists according to market trends. Do what you love & love what you do!! 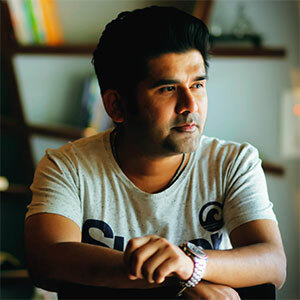 Is what the young Indian Director\ Composer\ Producer who has created his mark in the industry at an early age believes in. He inherited music from his father; Late Dr. Surendra Verma, a legendary poet and writer and later went to pursue his masters in music and has been living his dream ever since. After working as National Sound designer at a popular FM channel he moved on to create his own production company “Virtual Planet”. He has directed over a dozen music videos and ad films. His excellent Direction along with soulful Music compositions has given some of the best songs to the Indi-Pop Music industry. His work also includes background scores to leading television serials and more than 300 TV & Radio Jingles for both national and international markets. His work has made him achieve New-York International Radio Award; 9th River To River Short film Festival Award- Italy, Golden Mike Award and various others. Vikram loves to travel, so when he is not behind the lens he is exploring the world. ‘Music’ is the sound of emotions! 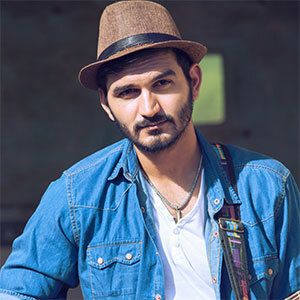 That’s the belief Gajendra Verma grew up with.Born on 20 April, 1990 in a small town Sirsa in Haryana, he was blessed with a musical family which imbibed music in him. Gajendra’s father Surender Verma was a PhD in Hindi literature, lyricist, writer, teacher and also an actor. His mother Chand Verma is a homemaker. With three siblings dedicated to art, music became a way of life for the young boy. He didn’t require any formal training to hone his prowess. His father and brother were his institutions. Like his brother Vikram Singh, Gajendra also started performing on stage from the age of 3. When he was 11, his family moved to Jaipur, where he had his secondary education from the Army Public School Jaipur. He performed at many stage shows and won many music competitions. This annexed his passion for music.He acknowledged many forms of music and was intrigued about the world of music. His desire to escalate to the pinnacle of his own ability brought him to Mumbai. He did a 2 year course in Sound Engineering from Mumbai’s renowned SAE College and soon after its completion he has been teaching at SAE and pursuing his dream to be a Musician in the dreamland. The music industry has presented him with many bittersweet experiences. Gajendra’s song “Emptiness” also known as “Tune mere Jaana” was leaked on the internet with a fake story of a dying IIT student, Rohan Rathod, which went viral and was instantly liked by 3 million music lovers across the nation. In 2011-12 he debut as Music Director/ SInger with his first Bollywood film “Table No 21 – Paresh Rawal, Rajeev Khandelwal, Produced By EROS”. Two of his compositions has also been included in the Bollywood movies “Bitto Boss” & “Taur Mitraan Di” He made many Jingles and songs for the leading Radio Stations of India. Gajendra believes that an artist’s journey towards self-fulfillment is never completed that knowledge doesn’t end with the end of one’s education and as Lata Mangeshkar once quoted “listening to good music is also a good riyaaz!”, following the footsteps of his favorite artists and bands like A.R. Rahman and Coldplay, Gajendra worships music which he considers to be food for his soul.